Adore this cooler because it adds vintage charm to outdoor parties! We used it for our movie night and it was perfect and looked beautiful sitting out… all about the details! This gorgeous book is illustrated with 75 different cocktails showing the construction of each one! 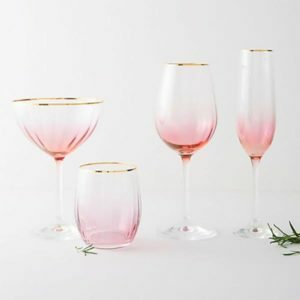 Definitely a great gift for the cocktail lover in your life! Check out our cocktail recipes here! There’s nothing better than relaxing on a summer day in a hammock with a cold drink and a book! We’re swooning over this beautiful macramé hammock that would be a great addition to any backyard! See our must haves for a charming backyard! Hand painted crystal and 24k gold glasses are so gorgeous for several occasions. The pink is perfect for Valentine’s Day and spring soirees. Also we adore the ombré details! Bring a little charm to your kitchen with these silicone and nylon utensils! 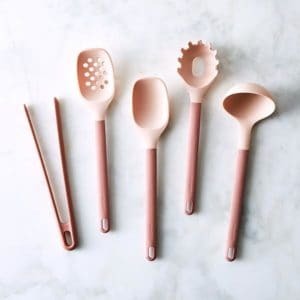 The set includes all of the basics and is a great starter set for a modern kitchen and the color is a beautiful shade of blush pink. These would look gorgeous in a marble canister. 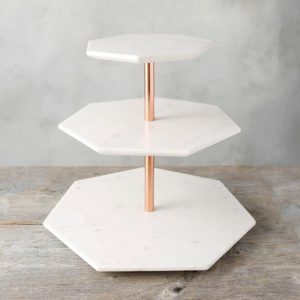 It doesn’t get much more elegant than this 3-tiered marble and copper serving tray! It’s perfect for serving appetizers or mini desserts for a party. We use our tiered trays all the time for parties and I’m always grateful I have one when I need more space! Great for small spaces too. 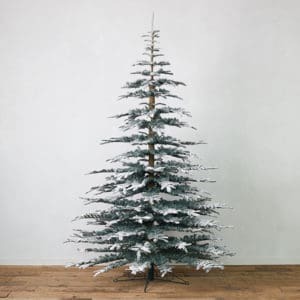 While we love a real Christmas tree, this faux flocked noble fir is a gorgeous alternative. No need to clean up dried needles or worry about watering! It’s so realistic and can be used year after year! 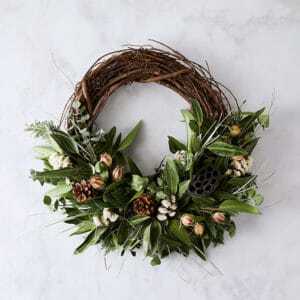 This gorgeous wreath is made with fresh fir and eucalyptus which will bring the scent of the holidays into your home! It’s perfect to hang on your front door, or bring inside for some festive charm! 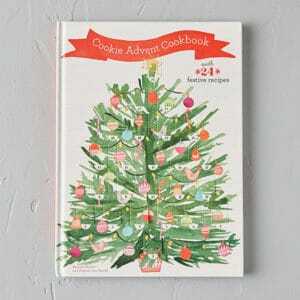 This fun cookbook features 24 delicious cookie recipes–one for every day in December! What a unique twist to the traditional advent calendar! 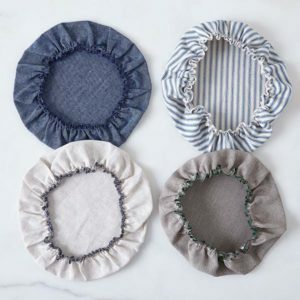 We love how easy these linen and cotton bowl covers are to cover food and ingredients. 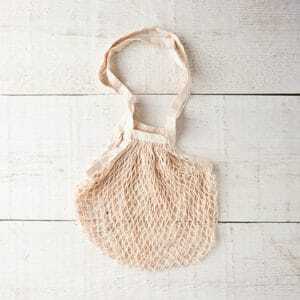 They’re washable and reusable and come in a variety of sizes. If you’re feeling extra creative you can try making them as well using our tutorial here.